... is a Professor in Conservation Ecology within Biological & Environmental Sciences at the University of Stirling. After a BSc at Leeds University she went on to study bat ecology for a PhD at Bristol University. 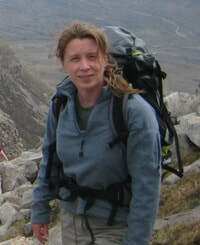 Her research is concerned with the effects of human activity on biodiversity and how best to manage this, focussing on animal ecology and conservation in managed environments (e.g. urban, agriculture, forestry). She is interested in addressing questions such as: What measures can we use to improve agricultural landscapes for wildlife? How can we make plantation forests work for timber and wildlife? How do we prioritise conservation efforts to restore functioning ecological networks? The last word in ignorance is the man who says of an animal or plant, "What good is it?" If the land mechanism as a whole is good, then every part is good, whether we understand it or not. If the biota, in the course of aeons, has built something we like but do not understand, then who but a fool would discard seemingly useless parts? To keep every cog and wheel is the first precaution of intelligent tinkering. North west coast of Scotland – not so great for bats but it has many other attractions! What sparked your interest in bats? One flew into the kitchen when I was about 15. It wasn’t spotted until the next day when my mother thought it was a dead leaf and tried to wash it down the sink… when it moved she realised it wasn’t and we called the local bat group. Once it had dried out we released it in the garden and it was probably then that I decided these were really fabulous animals. When you are out and about what do you enjoy doing? ...is a complete bataholic and spends most of his time working on various bat projects around the world. Daniel is the co-founder of Trinibats, an organisation working to conserve the bats of Trinidad where he lead expeditions each year. In the UK he is an active member of many bat groups and in 2014 started a National Nathusius Project to learn more about this migratory species. Daniel volunteers for the IUCN and coordinates the conservation and species assessments of Old World bats for the red list. Daniel hopes to use his skills in organising projects and expeditions to help the “Bats without Borders” project. What would a typical Sunday be like for you? My fiancée Heidi, our dog “Poppie” and I would enjoy poached eggs on toast followed by a walk in the woods or along the beach. PaPo a small agricultural village in North East Thailand home to the painted bat Kerivoula picta. When I was seven years old I completed a school project on bats and then in the Spring I rescued a pipistrelle bat from the school canteen – I’ve been fascinated ever since. ...is a proud South African who has infectious enthusiasm and in his own words was born happy go lucky. He wears many hats as an entrepreneur, web developer, freelancer and a loving husband. By profession Khwezi is a web application developer and has joined our Board as our communications and marketing expert – we are delighted to have his considerable IT knowledge and experience at our fingertips! Khwezi has worked on many projects with various organisations, has over 10 years of experience in his field and is the CEO of Khemo I.T. Solutions. As he says himself he is a dedicated citizen of the world and a willing participant in contributing to making this world a better place. Khwezi has a very strong love for his motherland Africa and sees himself as a representation of the continent in our modern world. "I love life and things being just and fair for everyone." My wife took me on one of her field trips in the Western Cape (South Africa) to set up bat detectors to figure out which species were present in the area. Before going on bat searching I had only known about Batman. The fieldwork was a real eye opener for me - discovering the behaviour of bats. If you were another animal, what would you be? I enjoy seeing new places and meeting people from different cultures to try and figure out the diversity that we have on this planet as humans, and it always amazes me. 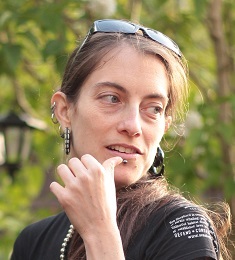 ... is a conservation biologist and molecular ecologist, researching biodiversity responses to global environmental change [http://globalchangegenetics.org]. Orly is a great believer in multidisciplinary and applied research. Combining molecular and modelling tools to study the ecological and evolutionary consequences of global change, and in particular climate change. Her research focuses on bats because of their high taxonomic and ecological diversity, their potential role as bio-indicators, and their great conservation need. Orly worked with bats in Europe, Latin America, the Middle East and Africa. During her PhD she worked with one of the rarest UK bats, the grey long-eared bat, Plecotus austriacus. Orly is a NERC Independent research fellow at the University of Southampton, and works in collaboration with researchers and conservation organisations from across Europe. She aims to bring her experience in bat genetic and ecological research to advise on the scientific agenda of BwB, and her experience of applying conservation research to generating evidence-based management plans for southern African bats. It all started when I had to choose a project for my undergraduate dissertation. As part of my course in the Darrell Institute for Conservation and Ecology we were given the opportunity to do a six weeks research project in the Peruvian Amazon forest. I was always interested in mammals, but I wanted to do an original project on taxa that hasn't been studied in previous years. Bats seemed like the perfect candidates. Little did I know then that they will become such an important part of my life! Working with bats in the Amazon forest was not an easy task but I was immediately fascinated by their diversity and distinct ecological roles. Walking along wild coast lines with my partner and my dog, camping out and catching waves in the sea. If you had more time on your hands what would you do? Without a doubt, travel the world. I love travelling, exploring new places and meeting new people. I love the freedom of not knowing what I will do or where I will be tomorrow and the excitement of discovery. As an ecologist I am always interested in exploring different ecosystems and habitats and the wildlife they support. Travelling is a great way to experience the diversity of life and the diversity of human culture. I lived in southern Africa as a kid, something that has left a very strong impression on me and contributed to forming my adult self. So if I had more time on my hands I would travel again to Africa, to explore its biodiversity, culture and societies from my adult point of view. ...lived and worked in London for 11 years, working as a 'super' nanny and secretary. Once she had sorted out all the kids and memos London could throw at her is was time to return to bonny Scotland where Lynn took up an administration job at the University of Stirling, allowing her to complete a part-time degree in finance. In 1996 Lynn was offered a permanent position with the Biological and Environmental Sciences and she has been there ever since. 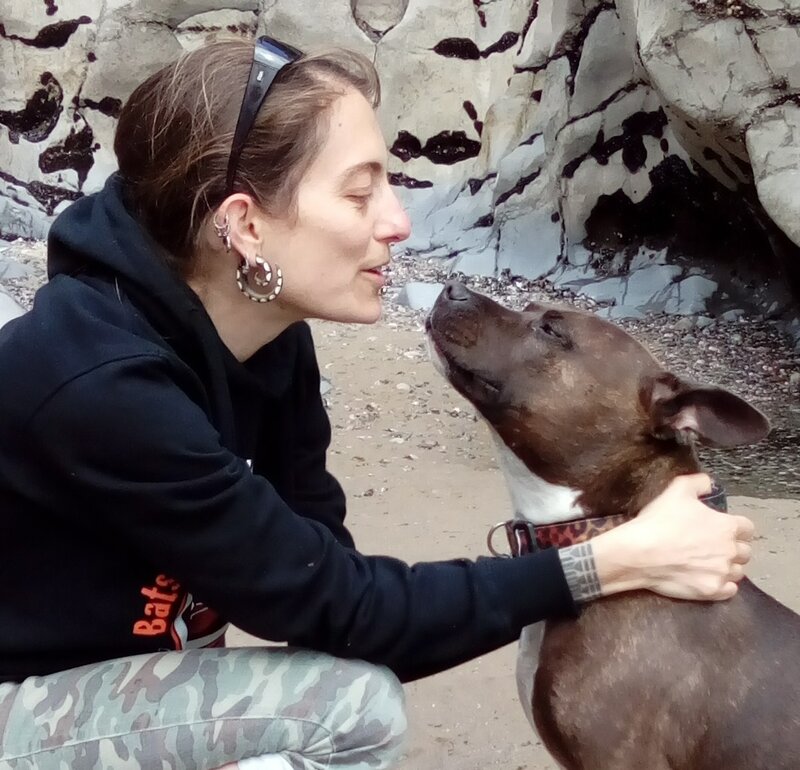 Lynn was headhunted to be on our Board and brings her considerable financial acumen, organisation skills, love of animals and enthusiasm as a very welcome addition to our team. Lynn has two sisters and between them they have four dogs, two cats, one child and a selection of fish. Initially through the fear that they would get tangled in my hair! – my aunt used to quote this at me when I was younger and I thought it trite at the time but I have grown to realise how relevant it is. I love walking my dog in the hills above Dollar. I’d be a cat, curled up in the sun.